1 item: $20.953-6 items:$20.50 ea.7-11 items:$19.95 ea.12 and up: $18.95 ea. 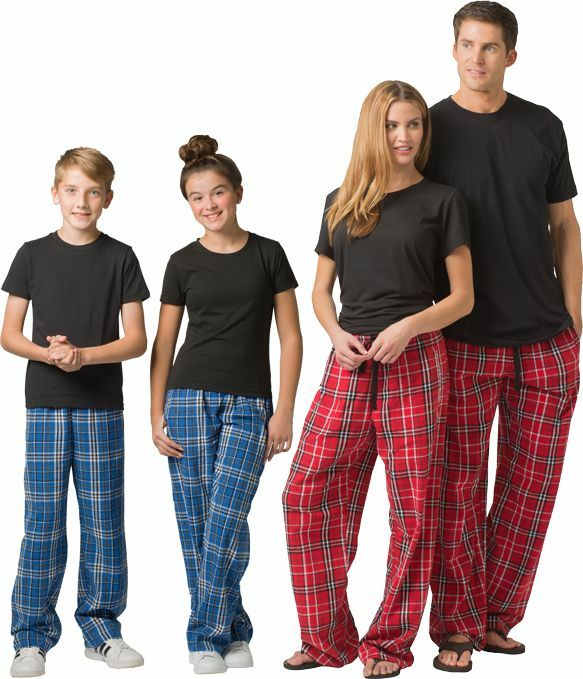 Stylish & Comfortable Plaid Flannel Pajamas & Lounge Pants for Guys and Gals from Boxercraft are So Soft and Comfortable. 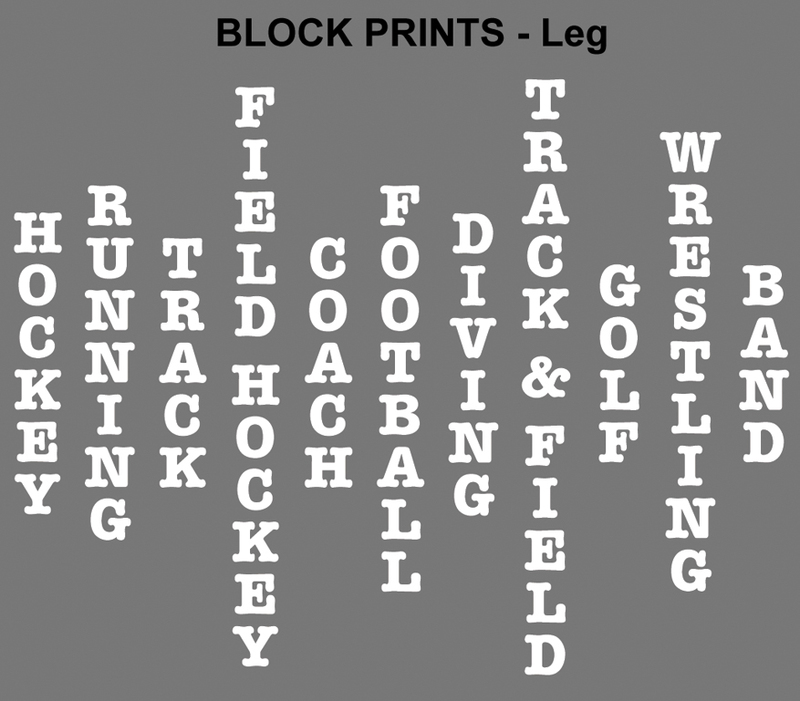 Wear them at practice, at your games, or just spend the day lounging around the house... showing your love of Volleyball, Softball, Gymnastics, Baseball, Track & Field, Basketball, Field Hockey, Lacrosse, Wrestling, Football, Swimming, Diving, Running, Hockey, Golf, Band, Tennis, Track, Cheer, Dance, Soccer, and being a Coach. � 100% Double-Brushed Cotton Flannel material with an Elastic and Tie-Cord Waistband. � Lightweight 4 oz Flannel, Side Pockets, Unisex and very Roomy Fit. Note: The manufacturer is now making these pants with pockets, so you may receive pants with or without pockets based on our inventory. Also, they are no longer making the youth sizes with a draw-cord, so you may receive youth pants with or without a draw-cord based on inventory. 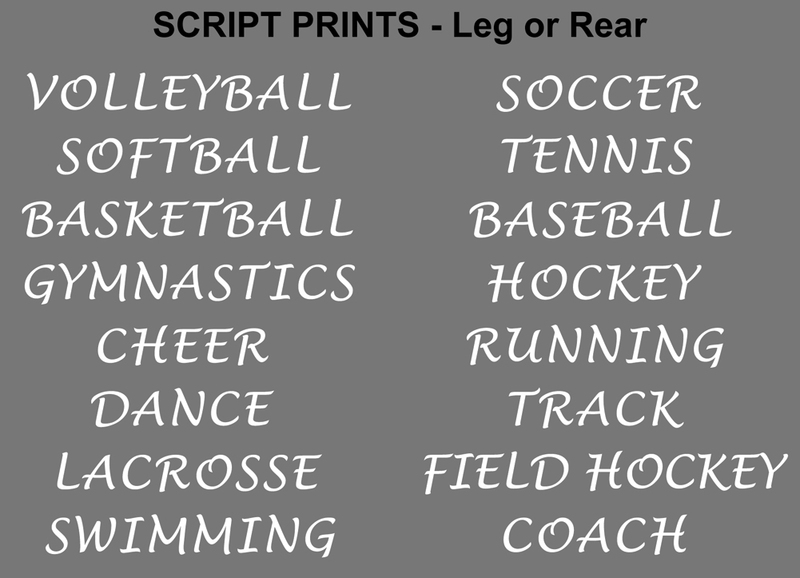 Note: The Script Font is only available in 16 Sports - See The Chart Above For Available Sports. Pants Sizing Chart: (Inseam Length / Waist Size / Youth or Juniors Size) - sizes may vary slightly. � Youth Small = 23 inseam / 20-22 waist / Youth 6-8; � Youth Medium = 26 inseam / 23-25 waist / Youth 10-12; � Youth Large = 28.5 inseam / 26-28 waist / Youth 14-16 or Juniors 0-2; � Adult Small = 31 inseam / 28-30 waist / Juniors 3-5; � Adult Medium = 32 inseam / 32-34 waist / Juniors 7-9; � Adult Large = 33 inseam / 36-38 waist / Juniors 11-13; � Adult XLarge = 33.5 inseam / 40-42 waist / Juniors 15-17; � Adult XXL = 34 inseam / 44-46 waist / Juniors 19 (there's a $2.00 upcharge for Size XXL). Note: There is approximately 5% Shrinkage for Flannel Fabric. * This item is not intended to be used as children's sleepwear or for other activities related to sleeping. It does not comply with the CPSC's children's sleepwear requirements. 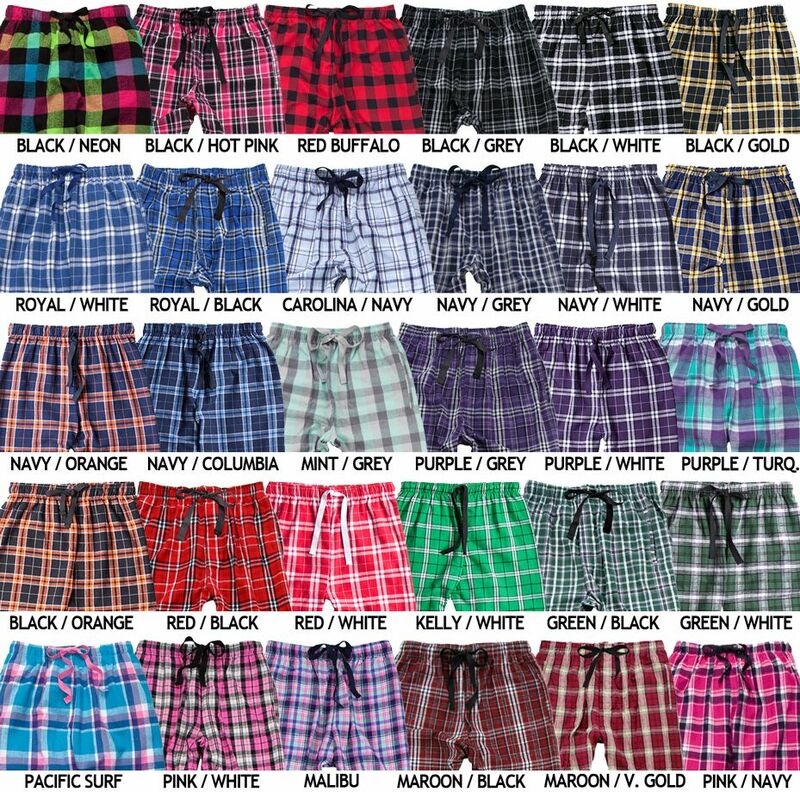 Cool & Stylish Flannel Plaid Pajama Pants are fun to wear if you like VOLLEYBALL, SOFTBALL, GYMNASTICS, BASEBALL, TRACK & FIELD, BASKETBALL, FIELD HOCKEY, LACROSSE, WRESTLING, FOOTBALL, SWIMMING, CHEER!, SOCCER, BAND, HOCKEY, DANCE!, RUNNING, TRACK, DIVING, GOLF, TENNIS, or are a COACH. 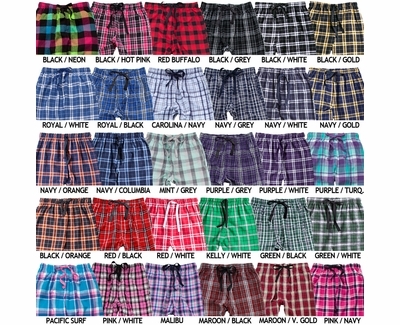 Plaid Flannel Pants now available in 30 Fashion Colors - to match most any School or Team Colors. * Can Mix & Match any Pant Colors & Sizes to get Quantity Sale Prices. 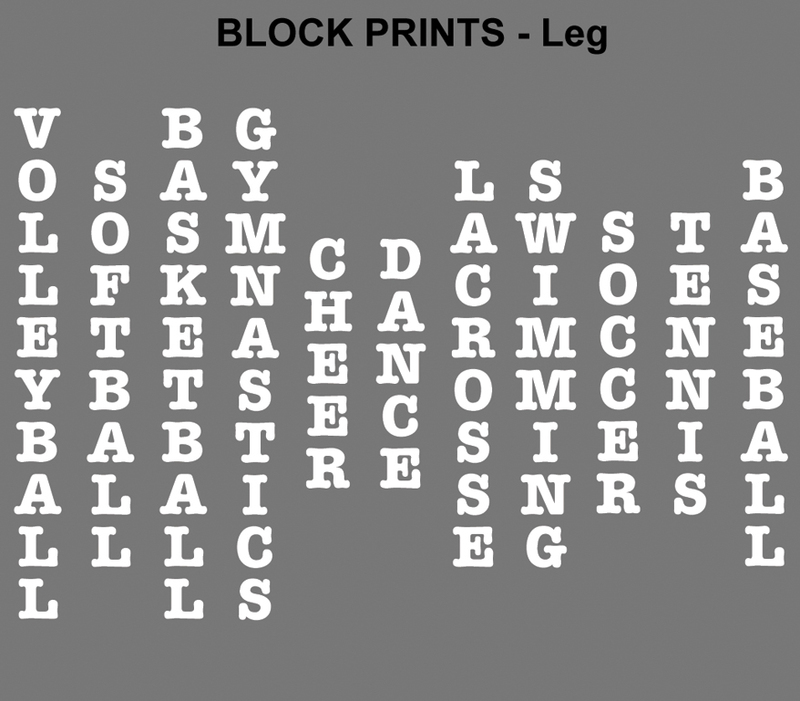 Click on the Color Swatch Photo to Enlarge the image to see the colors more clearly. 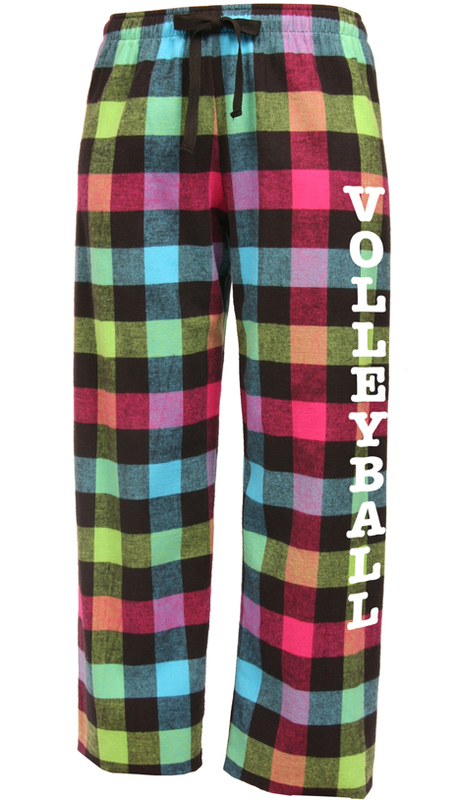 I ordered these for my granddaughter who loves volleyball. The are so cute and soft. 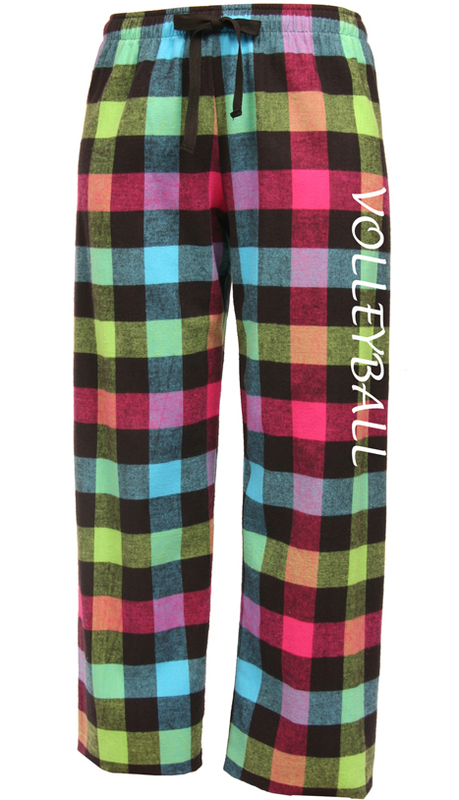 She will love the color and the word volleyball across the back of them. I would order them again. They are great. ProsThese are soft and will be cool to wear winter or summer. The colors you have to choice from are great and gives you a great variety. I have been pleased with the flannel pants. I have purchased for my grand daughters 2 years in a row. They love them!! These are really cute and roomy, the material is a little thinner than I had expected for the price. Customer service was great they shipped out quickly they are really cute and the wording is on the back securely and has not peeled off after 2 washes which is refreshing! Other than the material being a little bit thin they are wonderful! I ordered these in our team colors for our softball team as part of their goody bag for an out of town tournament. The girls loved them! They looked just like I expected on line. 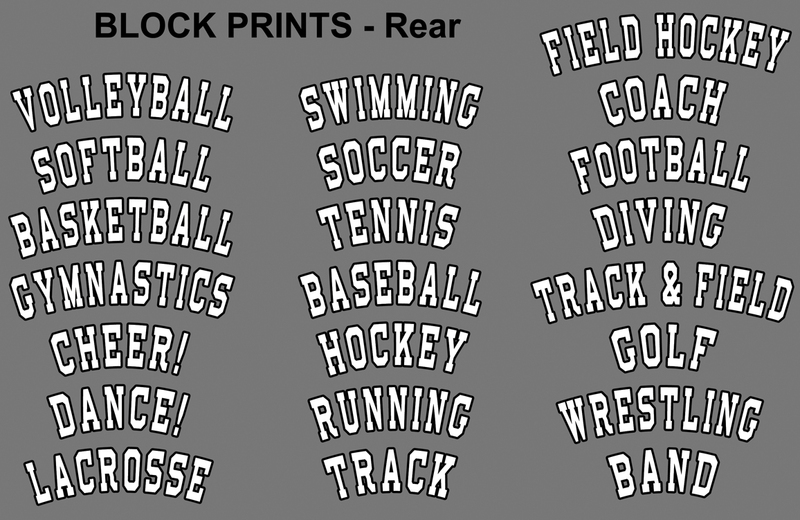 I will order again for some other sports that my nieces play, and gifts etc. My order was delayed and they called me to let me know, and were very attentive to getting me my order. I appreciated that customer service. Great price too! 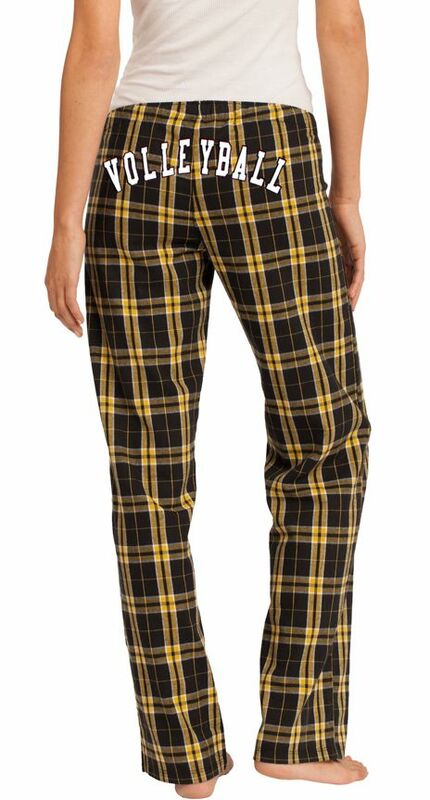 My daughter loves these flannel pants. She uses them for sleepwear. They are very roomy, and the length is great. I came across these flannel pants because the ones I was buying before were out of stock, I will continue to buy these pants in the future. They are better quality and also print much nicer than the other brand I was using. ProsGreat Quality, very nice to print on.